I often mention how I read a lot of books and how much of what you read here came to me via one design book or another. Perhaps just as often someone asks me which books I’ve read and would recommend. It’s probably time I mentioned a few of them. 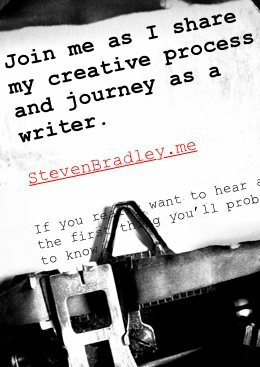 I’ve been wanting to create a full book review section of the site where I could offer more complete reviews and provide as much detail as I can to help you decide. Since I haven’t yet gotten around to creating that section hopefully this post will suffice for now. Note: Below each book are links to Amazon and Barnes & Noble. The B&N links are affiliate links so if you buy I’ll make a couple of bucks. There are no affiliate links to the books on Amazon. In most cases the prices are about the same at each store, though in a few cases the books at Amazon are significantly cheaper. While I’ve linked to the paperback copies some of these books also have digital versions. The two books below are good as an introduction to design. They’re the first 2 books I read on the subject before I considered becoming a designer. Just like the title says. If you’re a non-designer this is the book for you. My series of posts on design basics comes entirely from what I learned reading it. The information here won’t make you the world’s greatest designer, but it will introduce you to some basic design principles that will take you from amateur designer and place you on the path to becoming a professional. Jim Krause wrote a series of books to give practical information to designers. They’re meant to be able to look things up quickly. He has books on choosing a color scheme or finding a typeface in addition to this one. Both of the books below have become classics and each has a follow-up book on my future reading list. Perhaps the bible of usability for non-usability experts. It focuses on web design and everything follows from a premise of not making your visitors think more than they have to in order to complete tasks. It’s a quick read packed with information and lots of screenshot examples. Much of what’s in the book has now become common sense usability practice. This book is a little more in-depth about designing things to be usable. My series of posts on minimizing errors comes mainly from what’s written here. Don Norman fills the book with plenty of real life stories of unusable and usable design that make the book enjoyable to read while sharing solid principles. After reading it you won’t look at ordinary objects quite the same way again. Each of the books below focus on different design principles and/or working with design elements like lines and shapes. I’ve taken so many post ideas from the first book I couldn’t possibly list them all. This book is an attempt to begin a conversation about 125 different principles of design. Each principle is covered in a single page alongside a page of examples from the real world. One of my favorite design books with all the different aspects it covers. The book isn’t about where to place a line or what shape to use to communicate something. Rather it deals with things like the psychology behind the attractiveness bias and Hick’s Law. Design Elements walks through the different elements at a designer’s disposal, like form and space, point, line, surface, and volume, and then looks at both type and imagery. My series of posts on the elements of design comes mainly from this book. It’s a great book for gaining a solid foundation of the different elements of design and how to go about using them. This is a shorter book, but one packed with information. It covers many of the same topics as Design Elements above. Alex White has a unique take on things so you get a different perspective on a number of topics. I learned quite a bit about working with space as well as working compositional balance into a design. My 7 components of design series was inspired by this book. These books on visual language are about what different visual elements communicate. The latter 2 look deeply at the subject and consider how we physically and psychologically see and perceive the objects around us. This is a concise book that categorizes different visual objects and how they interact with each other. As the title implies it’s an attempt to create a visual grammar for the basic visual objects we use and their interactions with each other and with us. My post on visual grammar comes from this book and I often referred to it while working on the elements of design series mentioned above. This is definitely not a quick read. It’s not a long book, but it gets very deep into things like how the eye works and how information is perceived and stored in memory. There’s a good mix of theory and practical application on the subject of visual cognition. This post on verbal and visual communication comes mainly from this book, with a little help from the one below. This book is similar to the one above in terms of subject. I think it was a little easier to read as it placed a little more focus on the practical. I read both back to back so they mix a little in mind as to what was in each. Both are good reads if you’re interested in learning about how we react to our visual surroundings. Both aim to help you visually communicate abstract ideas and messages. This post on visual perception and memory comes from this book, with a little help from the one above. I’ve mentioned a few times over the last year that I’ve been reading a lot about typography. The more I learn about type the more I realize how much more there is to know and how little I know the subject. This is the modern bible of typography. I’d bet it’s on the shelf of every designer who’s ever been interested in the subject. It’s probably the first book most buy about typography. Bringhurst is a poet and the writing within shows that. The book is filled with practical information such as when and how to use things like em dashes and en dashes. It closes with brief discussions of many different typefaces and type designers. Ellen Lupton’s book is divided into 3 sections, letter, text, and grid. Each section begins with an historical essay and then gets into more practical definitions of the subject. The book is filled with visual examples of most everything discussed in the text, which helps to illustrate many of the principles. Another book by Alex White. I bought this after enjoying the one mentioned above. I like how Professor White comes at things from a different perspective at times giving me a new perspective in the process. For example this post on readability and legibility. This is another book filled with visual examples illustrating all of the concepts discussed. A very short book and yet one filled with so much information it’s a must read. I’m still not sure how it managed to fit so much in to so few pages. It starts by looking at individual letters and works its way out to words, lines, linespacing, and the quality of type. Lots of information about micro-typography. This book really gets into the details. Every time I’ve seen Erik in a video online I’ve learned so much and reading this book was no different. A great introduction to typography and a very enjoyable read. I recently read it after reading many of the other books in this section, but it’s probably a good first book on typography along with Bringhurst. There are fun and interesting stories in its pages as well as some great practical details about using type. One of the things I liked about this book was it’s first chapter which contains a walk through of type through history. Some of the other books here also cover typographic history, but I think this was first time it was connected for me along a timeline. The rest of the topics are similar to many of the other books listed here. It likely works better as an introduction to typography than as a detailed text. Another recent read for me. It also has a good historical perspective before jumping in to things like typographic anatomy, syntax, legibility, grids, and beyond. There are plenty of topics discussed in the book. I also enjoyed the design of the book itself as well as many of the examples it uses. I think this is also one of those classic texts used in classrooms. Usually when writing about typography (such as the 2 posts below) I draw from several of the above books as many discuss the same topics, each with its own details and perspective. Building on typography is the typographic grid, something I’m still trying my best to learn. The first 3 books below are similar, which makes sense as they’re from the same author. Each is really a walkthrough of some ideas on grids and geometry along with student solutions to exercise problems. Each contains vellum overlays to show how certain designs were constructed. I’ve come across reviews where people thought all 3 were more style than substance. I have to admit that at times reading each part of me felt the same. However in the end I enjoyed and learned from all 3 books. If it means anything I did buy all 3 and have read through each more than once. This book introduces some exercises and then shows student solutions to those exercises. The idea of each is to place different shapes (rectangles and circles) on the page in interesting ways. Some shapes are representative of lines of blocks of text. Solutions with actual text instead of their representative shapes are also shown. This book discusses different geometric and mathematical systems like the golden ratio, for building grids. It shows how to construct the different grid systems it discusses and shows them in practice in works of art and architecture. The idea is to help understand how different geometrical systems provide an aesthetic beauty to the works they’re used in. This last once focuses on type, but I listed it here, because it deals with systems for organizing type on the page as opposed to typographic anatomy. Also it’s similar in form to the two other Kimberly Elam books above. It works through 8 different systems for placing type on the page, including radial, grid, and modular systems. One last word about this and the 2 books above. If you learn well through seeing abstract visuals you’ll probably like all 3. Each is less long text explanations and more quick intros with the visuals serving as the explanations. This book looks at designs that both use a grid and those that break out of it. I often pull it off the shelf just to look at the designs for inspiration. There are some absolutely beautiful examples inside. Each of the two sections begins with a short intro followed by many examples of designs along with some explanation about how the design fits into a grid or breaks out of it. Each example also shows which grid is being used in the design. The two post below were both taken directly from this book. This book looks into different grid elements like baselines and columns as well as talking about different grid usage ideas. There are plenty of examples of grid based designs throughout. I preferred Samara’s book to this one, but enjoyed both. The approach here is different than Making and Breaking the Grid. There are some different topics covered and it also has some great examples of grid based design. Khoi Vinh’s book is the only one int his section that’s entirely focused on web design. Khoi is one of the people responsible for bringing a focus on grids to the online world. This is a must read if you want to work with grids online. It helped answer a number of questions about how to develop a grid I had after reading the books above. Khoi takes you through a working example constructing a basic grid and then developing several of the typical pages you’d find on any website using that grid. If you had to pick 2 books from this section I’d go with Making and Breaking the Grid and this one. There are obviously a lot of books above (23 I hope) and you might be wondering which to read first. If I mentioned a book as a must read or a bible it’s probably one I would recommend first. Otherwise visit Amazon or the Barnes & Noble site and read some reviews or walk into a store and begin reading. 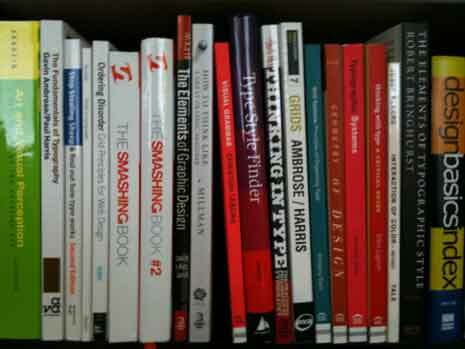 The majority of the books above I discovered through recommendations by other web designers. A few I found searching Amazon and a few I found searching the shelves at Barnes & Noble. I know some of these books are available as eBooks for iPad, Kindle, or Nook and they should offer free samples. I’d like to tell you that you’ll love all of them, but I know we all have different tastes in reading material. I can tell you that these are all books on my many bookshelves and I’ve read each and every one, some several times, and I often grab them as references. If you have any books to recommend about design please share. I’m always looking for new books to read. Nice collection of design books. I think I own 70% of this book collection. My favorite is probably Detail in Typography by Jost Hochuli. Thanks Vladimir. It’s not surprising you own most of these. Quite a few are classics. I like reading several books on the same subject usually around the same time. I find it reinforces the most important material while at the same time offering some different perspectives on the same topics. I read Detail in Typography a couple of months ago. What an amazing book. So much great info in such a small book. I just purchased Universal Principles of Design and have been considering reading The Design of Everyday Things. On your recommendation I’ll probably pull the trigger on that purchase. I would add The Principles of Beautiful Web Design by Jason Beard to your list, but all in all, excellent choices. Universal Principles of Design is a great book as is The Design of Everyday Things. The latter is an entertaining read as well as being informative. Hope you like it. Emotional Design is the follow up where Don Norman looks into how aesthetics improve usability. It’s on my reading list when I get through some of the books I have around here, but haven’t yet gotten to. Thanks for the recommendation for The Principles of Beautiful Design. That’s a new one to me so I’ll give it a look. I enjoy reading the 5 Simple Steps publications. The 5SS to Deisnging Grid Systems is awesome, currently making my way through 5SS Hardboiled Web Design. You know I like all the authors behind the 5 Simple Steps books and have learned so much from all of them. I’ve read the free online copy of Designing for the Web, though I haven’t purchased any of the others. I really should given all I’ve gotten for free from everyone there. That’s a whole lot of books to read. Thanks for compiling the list. How about a similar list on web development? I’ll see what I can come up with for web development. I haven’t read as many development books in print though. Some, though most are older books. I’ve read more ebooks and tutorials online. There’s probably enough to put together a list so I’ll see what I can come up with. Great to see Krause’s ‘Design Basics Index’ in there… I love that book – such great use of do’s-and-don’ts examples. I’d always recommend that as starting point for designers. It’s a great book, isn’t it. At the time I read it I had only previously read Robin William’s Book, which is also a great book. With Design Basics though I started to really feel like I could learn to be a designer. I think both books make for a good starting point.